This is a financial model template of Budget vs. Actual for 1 year. 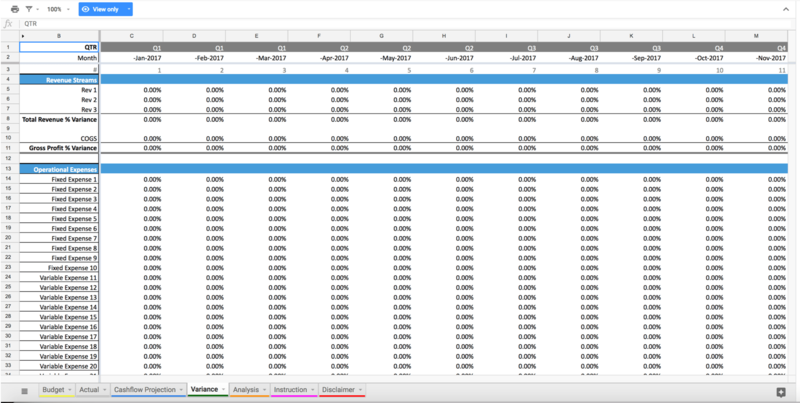 The spreadsheet is made in Google Sheets for users who prefer an easy to use file which can be shared..
Tabs include: Input, Projection, Actual, Variance, and Visual analysis. You can also check out the Budget vs. Actual for 3 Years in Excel for a longer period of tracking and Excel Version. This is a template using Google Docs Sheets. After purchase you will receive the link for the Google Docs file from which you can create a copy for yourself to save on your own Google Drive account (you need a Gmail Account to access this).